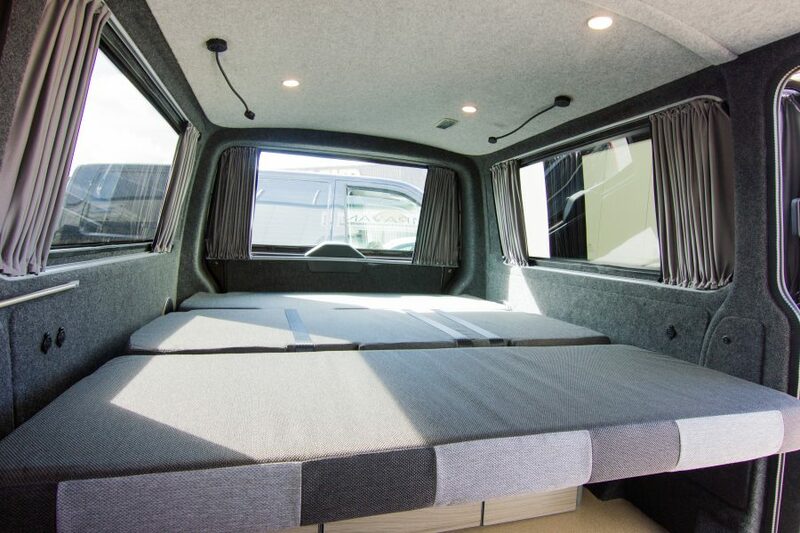 Looking at converting your van for short camping trips but wanting to keep as much space free for everyday use? 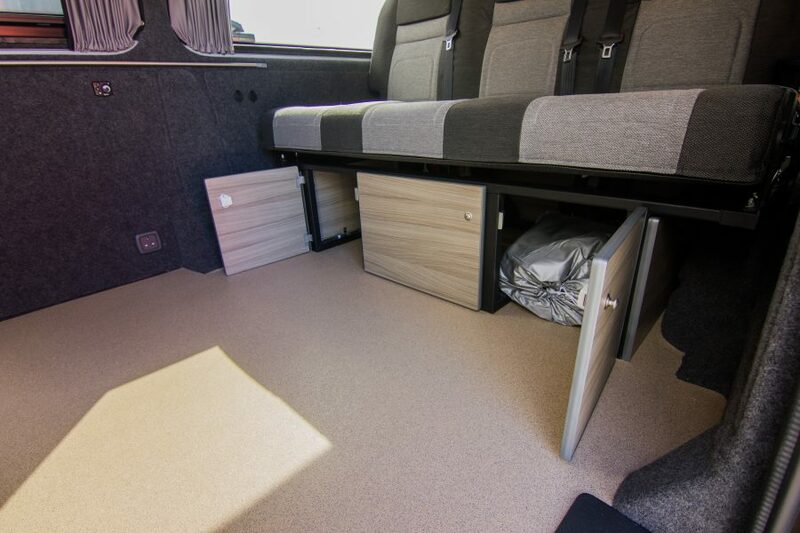 The Shoreline conversion is the perfect option for those who want space, flexibility and simplicity. 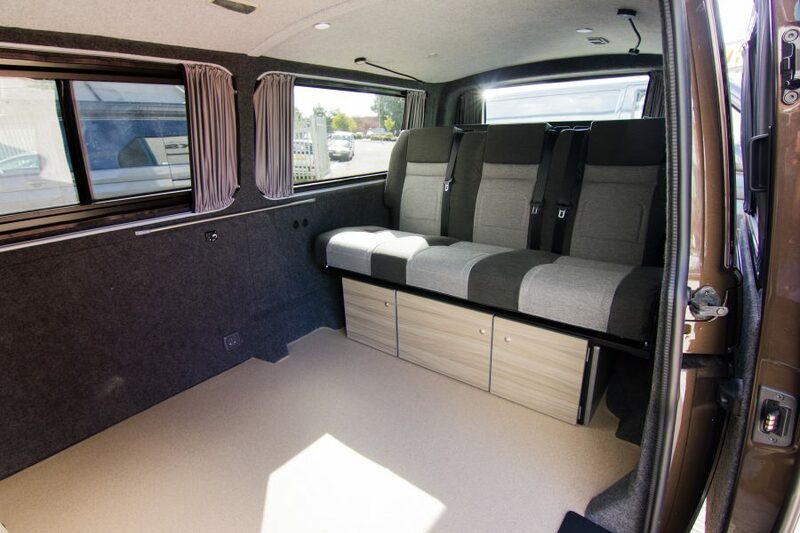 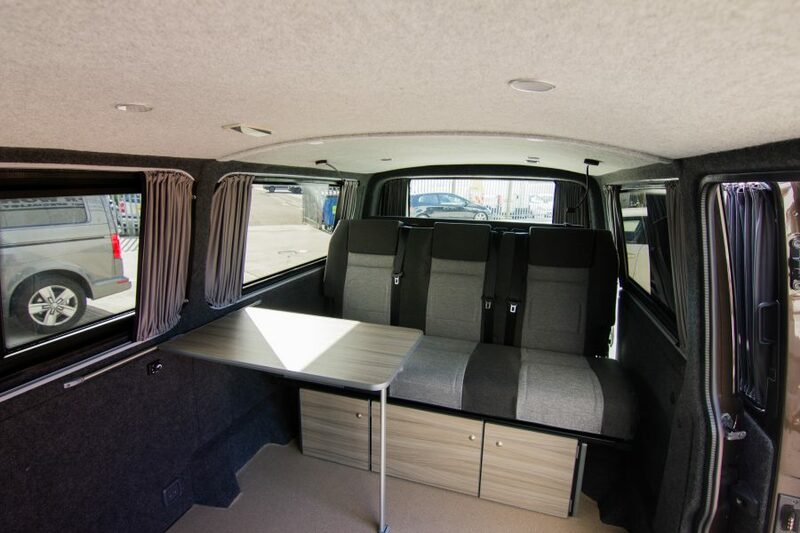 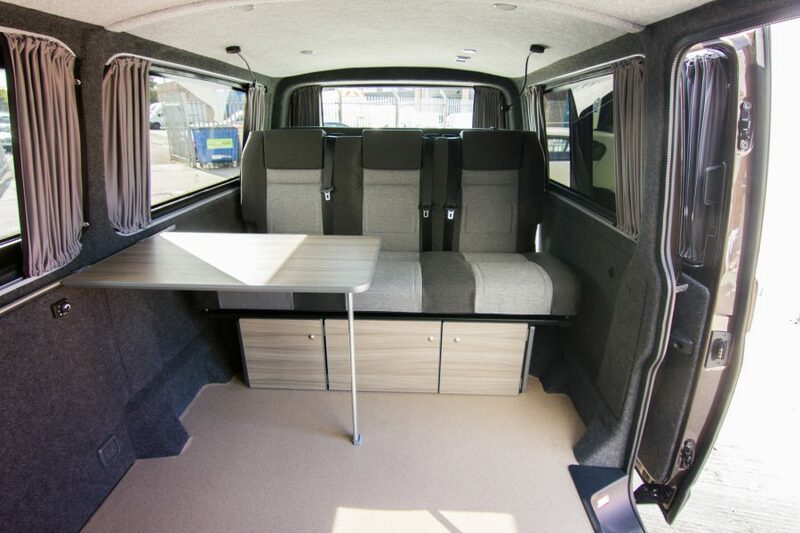 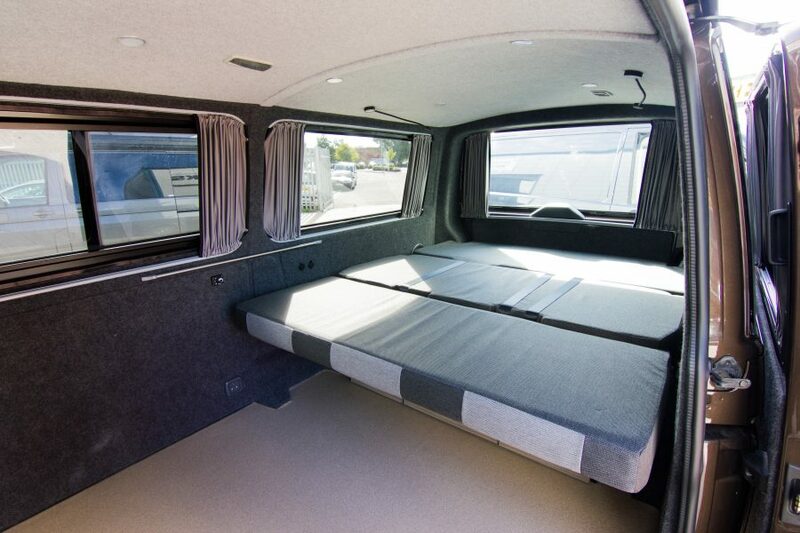 It comes with a 150 RIB VW campervan seat in the back allowing you to carry 3 passengers in the rear of the van for day trips whilst having the widest possible sleeping set up. 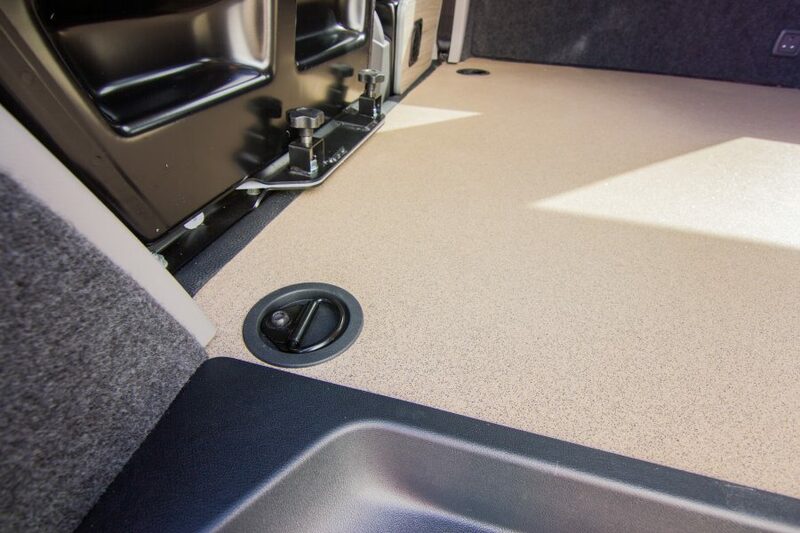 The cupboards under the RIB seat allow for secure storage of smaller items and although the standard configuration has no units inside there are options for kitchen and BBQ pods to cover basic cooking requirements.